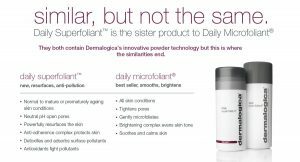 We got very excited before Christmas to hear that Dermalogica were yet again launching a brand new product! Any time we hear this we are beside ourselves with excitement! We always know that they will not disappoint! 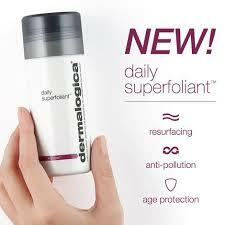 So when Daily Superfoliant arrived we could not wait to try it out! A resurfacing, anti-pollution powder exfoliant. This highly – active resurfacer delivers your smoothest skin ever and helps fight biochemical and environmental triggers known to accelerate skin ageing. Yes this product can be used daily. In fact using this gentle powder exfoliant daily is better for your skin than using an aggressive/ course exfoliant less frequently. If you have sensitive skin then consider using the product every other day until your skin acclimates. What is the cost of this product and how long will it last? The product costs €70.50. A little goes a long way so you should get at least 5 months from this product. 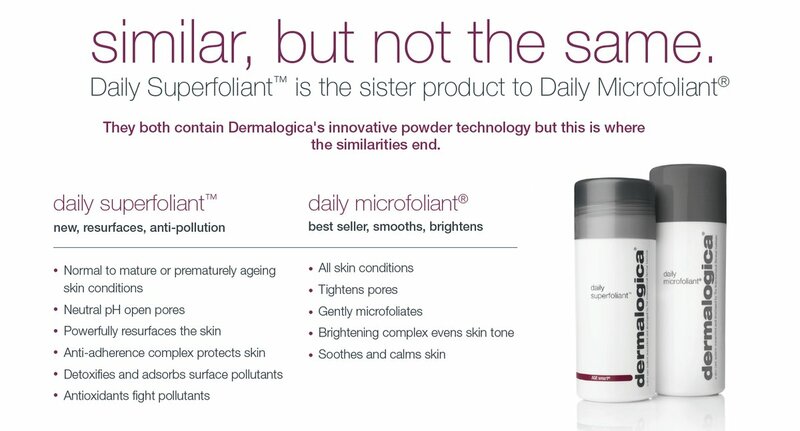 For those of you that already use Daily Microfoliant and are wondering how these two product differ from one another, check out this table! 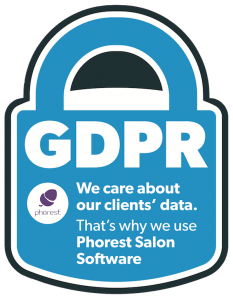 *for more info or a FREE sample, feel free to pop into us at Vanity Beauty Rooms, Oranmore or call the salon on 091-795682!